DB's tilting class 611 DMUs aren't very pleasant to travel in and don't appear to be ideal for their drivers either. Most units ran with the blinds pulled right down whenever it was sunny, indicating that the cabs were prone to overheating. Unfortunately DB didn't take the sensible course of action and replace them with loco hauled sets. 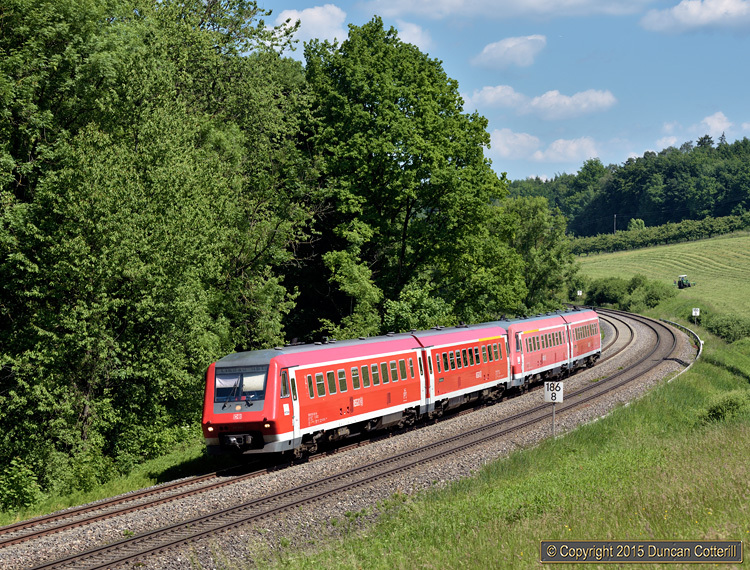 611.033 and 611.016 were photographed north of Meckenbeuren on IRE4207, the 10:12 from Ulm to Lindau, on 6 June 2013.